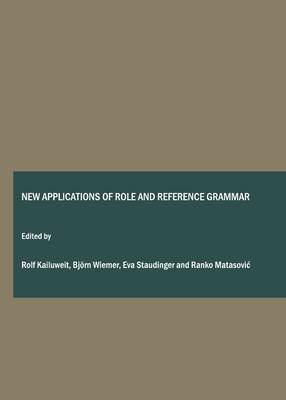 The first part is comprised of seven articles dealing with possible applications of RRG to diachronic syntax and grammaticalization. Beside an overview article, the papers are mainly concerned with changes either in the interaction between topic-focus structure and the Layered Structure of the Clause or in the selection of Privileged Syntactic Arguments and case assignment. The second part consists of applications of RRG to Romance languages, and most of these applications are mainly concerned with the syntax-semantics interface. Different aspects of verbs (verbs as operators, verbs as sentence predicates, verb alternations) and the syntactic and semantic structures they involve are analyzed from an RRG perspective.